TME’s offer has been enriched by a new series of POLOLU 20D motors from a popular American manufacturer, POLOLU. These are small DC motors with a diameter of 20 mm, featuring above-average speed and torque capabilities. 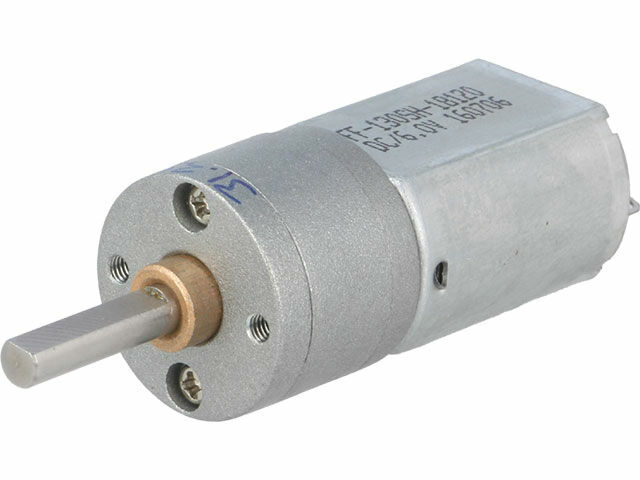 These motors are designed to work with maximum voltage of 6 V (200 mA at free rotation and 3.2 A at shaft blockage). They are available in many variations – with transmissions ranging from 25:1 to 488:1. The fastest motors reach 560 RPM with a torque of 0.21 Nm, while the slowest ones (30 RPM) boast an impressive torque of up to 1.176 Nm. Each motor from the POLOLU 20D series has metal transmissions, which are equipped with an unilaterally flattened axle (D incision), 18 mm long and with a diameter of 4 mm. Motors are also available in a longer axle variant, protruding from the rear (6x2 mm – bilateral shaft). Other than the POLOLU 20D motors, TME’s offer includes dedicated mountings POLOLU-1138 and motor axle adapters POLOLU-2672 holders.